NIGEL WEBB is Chairman of the Dorset Wildlife Trust, which he joined 40 years ago. Born and educated in Bristol, he read zoology at the University of Wales followed by post-graduate research. He joined the staff of Furzebrook Research Station in 1967 and retired as Deputy Head of the Station in 2002. An internationally known ecologist, and author of the New Naturalist volume on heathlands, he is an authority on European heathlands, tundra, conservation biology, and restoration ecology. He has served on the Council of the British Ecological Society, as Editor of the Journal of Applied Ecology, and as a Vice President of the Institute of Biology. 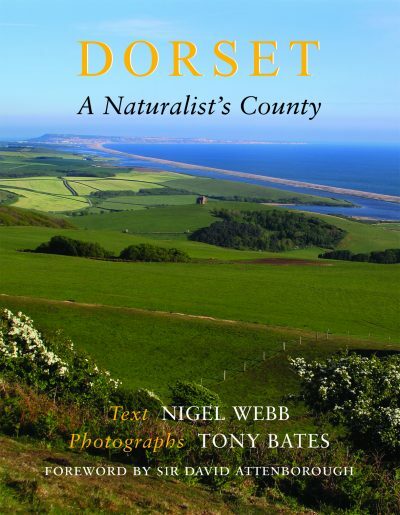 TONY BATES is President of the Dorset Wildlife Trust, which he joined in the early 1970s. He was brought up in Devon and Yorkshire and obtained a degree in Materials Science at the University of Wales. He worked for major engineering companies in both the Midlands and Australia, where photography was an important aspect of his role. His career then brought him to Dorset to work at the Winfrith Technology Centre. He became a Council member of the Dorset Wildlife Trust in the early 1990s and was appointed Chairman in 1998, the position he held until 2010. From 2000 until 2006 he served as a Council member of the Royal Society of Wildlife Trusts.